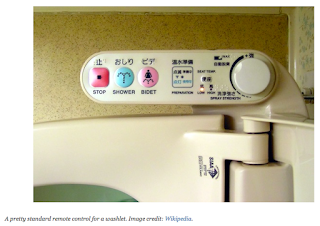 “The majority of homes in Japan are equipped with toilets that come with seats that heat up and electric bidets – more than 70% of all homes, according to a government estimate – that do consume a fair amount of electricity here. A whopping 72% of Japanese households now have bidet-style modern toilets. 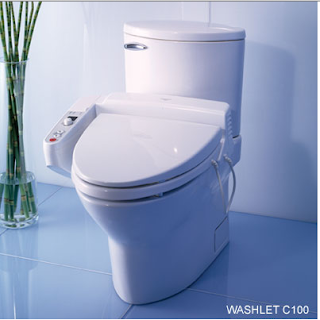 In 1980, the Japanese company Toto introduced its Washlet G Series and the modern toilet was born. Today the term Washlet, while technically a trademarked term by Toto, is colloquially used to refer to any bidet-style toilet seat. What was most notable to this author when visiting Japan was that these toilets are everywhere. You could be hiking for hours at a mountain outside of Tokyo and at the very summit, discover the toilets in the public bathrooms are nicer than the toilets in the home of the average billionaire in the United States. In fact, the toilets in public facilities in Japan were almost all better than any toilet the author had ever encountered in America. As a legislator, I did my share about grumbling about the disgraceful state of State Parks restrooms. Having visited Japan recently, I too was pleasantly surprised to find these fabulous toilet seats in public bathrooms and our modest accommodations. Understandably, the only place that did not have this luxury was at a shukubo, a monastery temple lodging. At the shukubo, there was a choice between the western and squat styles. In the cold early morning I quickly went back to the ice cold seat of the western style after I almost pulled out the wall pipes when I thought I was going to fall backwards while squatting. I need to work on my squats. The only reason I have not upgraded my toilet at home is because I don't have an electrical outlet near the toilet and am not ready to dish-out the money to remodel my bathroom. But a friend who is building her new home will be installing the Toto Washlet throughout her home. I'm envious. demand response and increasing hygiene, should we not mandate that all new toilets installed in Hawaii be electrified. Note I said mandated, not offer a tax credit. Just like the solar water heater mandate, the small cost to upgrade at the time of new construction or remodeling can be rolled into the over all construction cost financing package at negligible cost. Bachi (bad karma) on the architect or builder who tries to talk the homeowner out of this mandate seeking an exemption. Or maybe we should have a TPS, toilet portfolio standard with aggressive benchmarks to establish a market floor. But that will probably become meaningless as someone will have the bright idea to amend to a 100% aspirational goal. Or should we have a no-toilet paper mandate. Cutting down trees to make toilet paper and shipping the containers to Hawaii certainly has lots of environmental impacts. The no-fossil fuel chants are getting tiresome, so how about no-toilet paper by 2045. The upside - when there's a dock strike/shipping disruption the only things flying off the shelves will be rice and spam and not toilet paper. Yes, a clean energy transformation will require us to rethink and redesign our needs, hiney hygiene - that's something I can get behind.